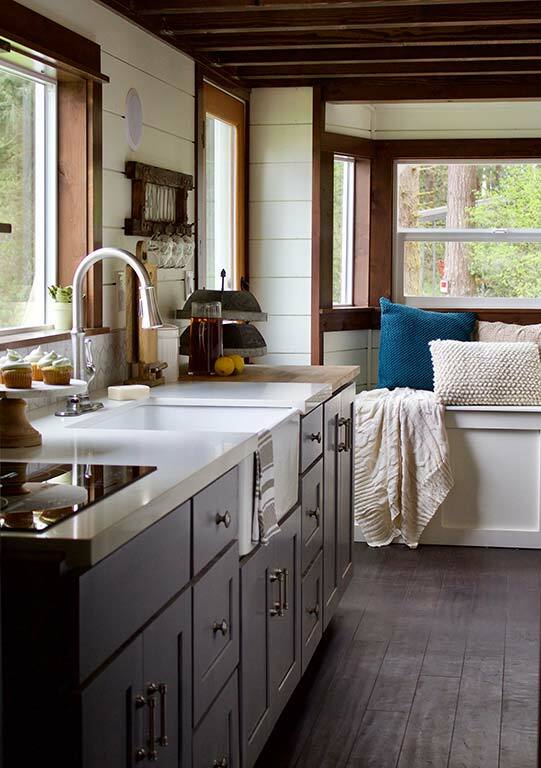 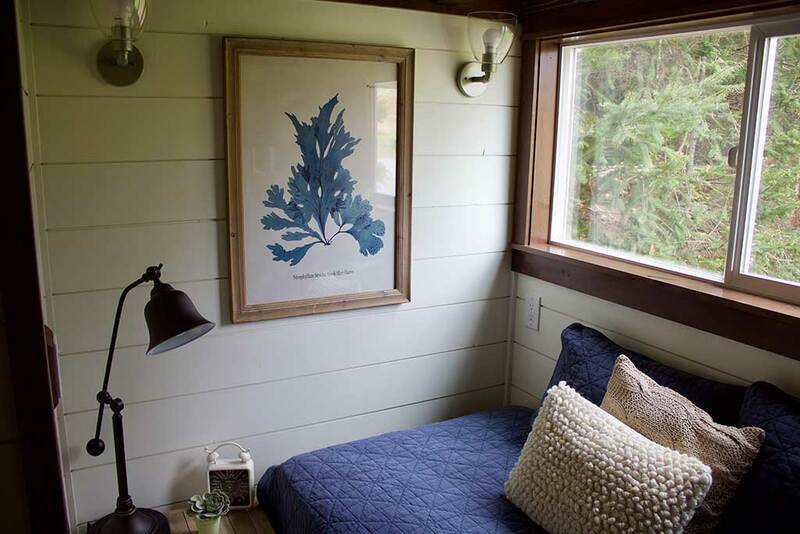 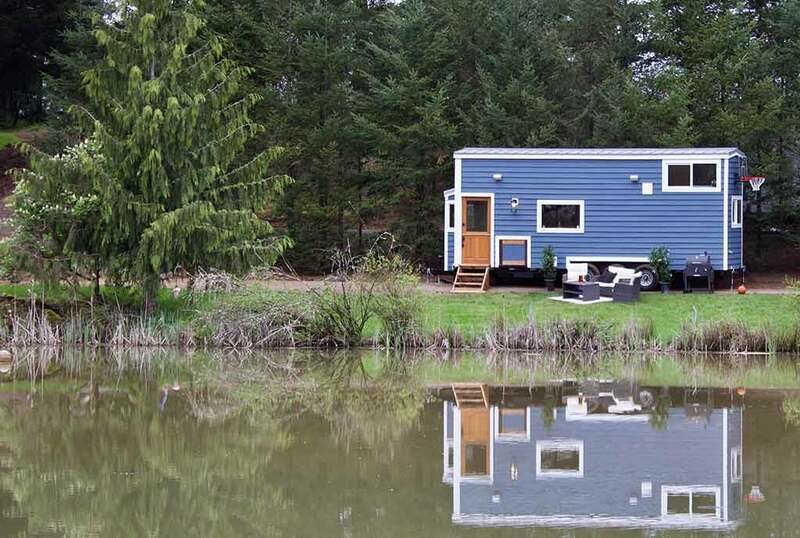 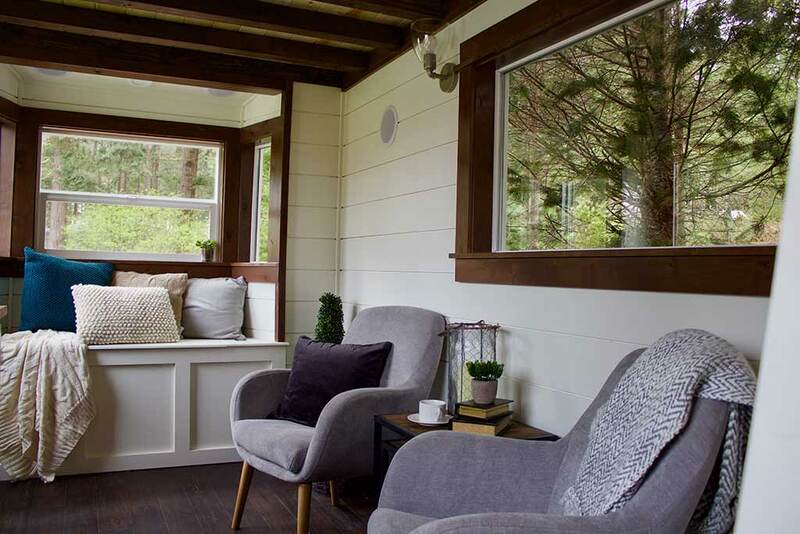 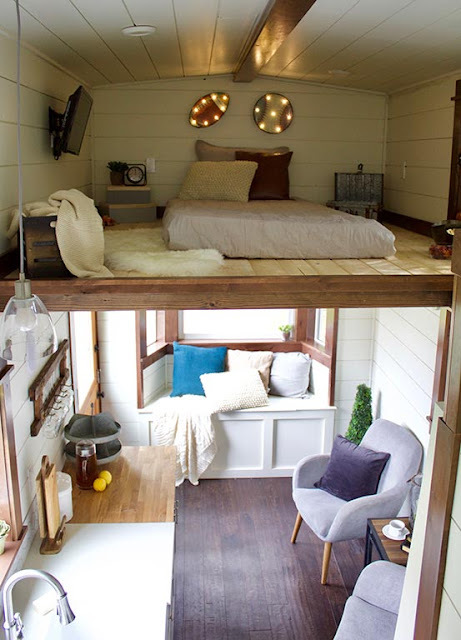 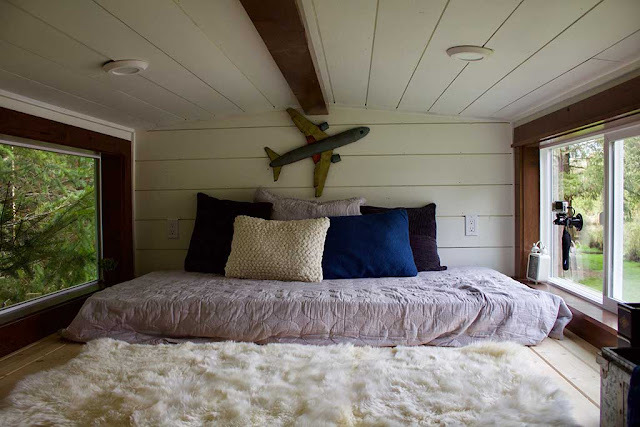 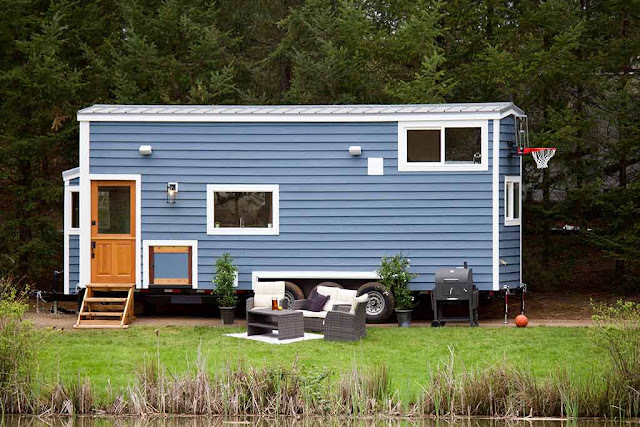 This beautiful blue home is a custom build by Tiny Heirloom and was featured on their HGTV show, Tiny Luxury. The house was designed for a man who wanted a home he could travel in and use for tailgating at football games with his two young sons. 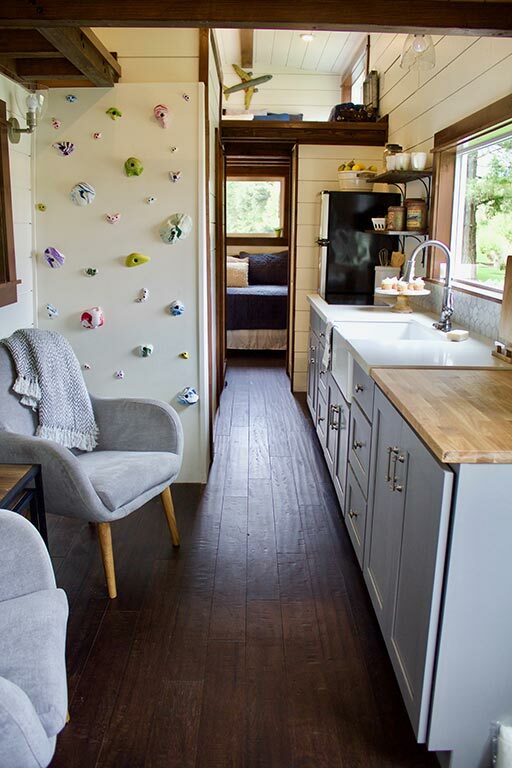 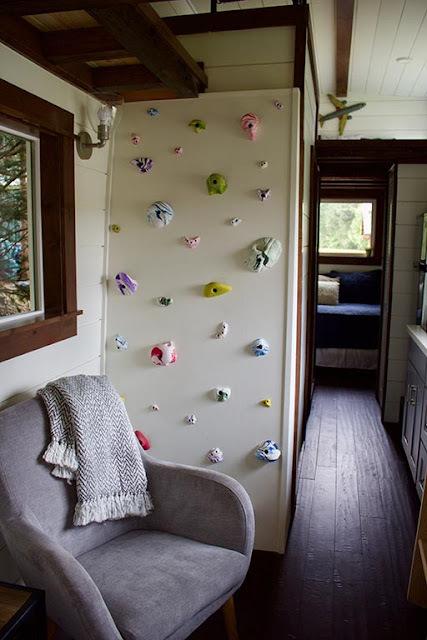 The team at Tiny Heirloom worked to create a home for just that and also added on some other cool features including an exterior basketball hoop and an indoor rock-climbing wall. 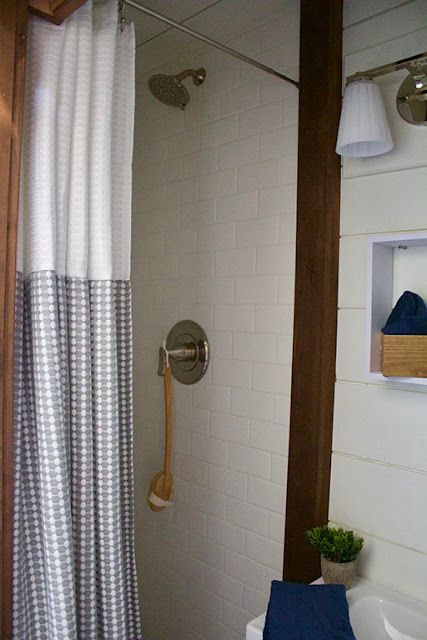 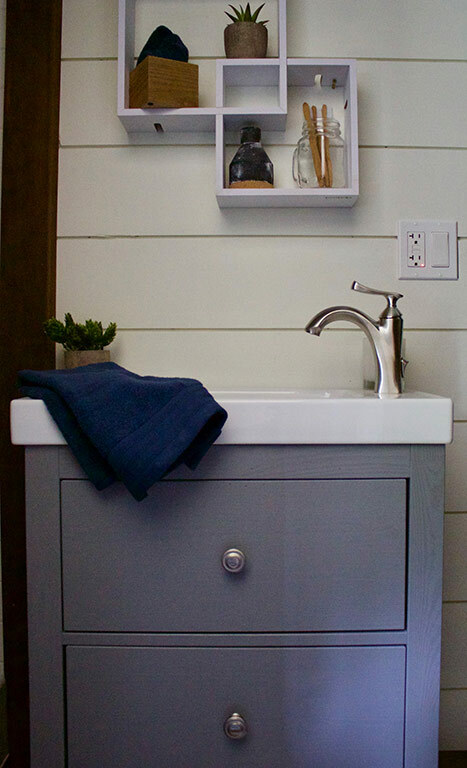 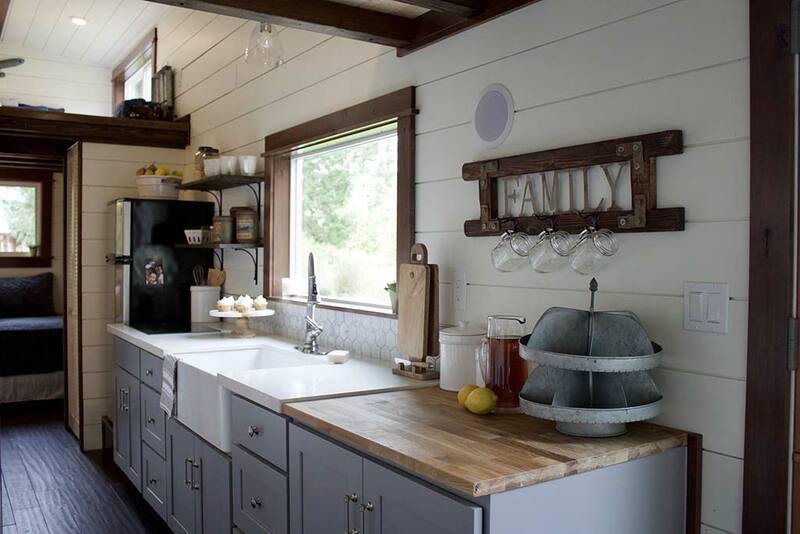 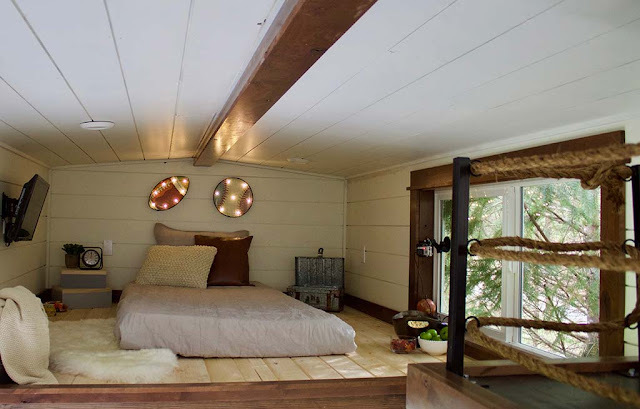 There's also a beautiful farmhouse style design throughout the space to make it a more homey! 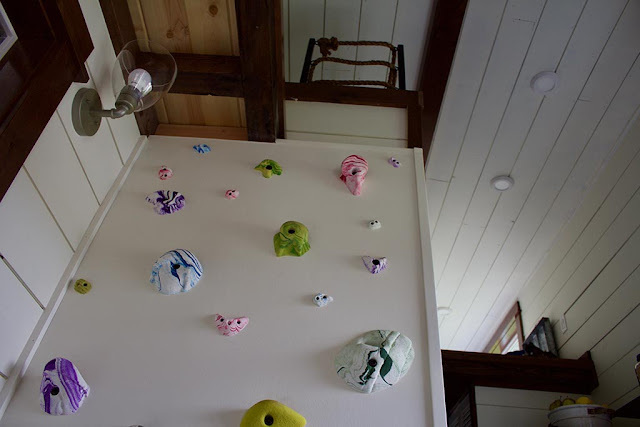 For more info and pricing, contact Tiny Heirloom here.